Warrikal is a leading Indigenous engineering group providing Mechanical Engineering services, preventative asset management and shutdown works to the resources, energy and marine sectors. Warrikal provides extensive experience in performing minor plant improvements and sustaining capital projects from initial planning and concept design through to implementation and commissioning. Warrikal provides multidiscipline maintenance services, with solutions to ensuring all business objectives are met and no unnecessary failure of costly downtime. 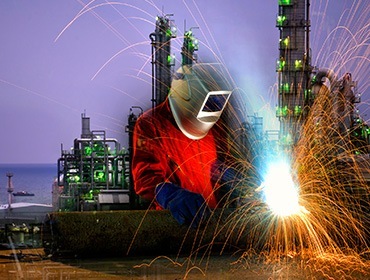 Warrikal delivers by Integrating our key personnel and multidiscipline work force with our clients as to ensure all shutdowns are completed Safely and efficiently as to reduce costly downtime. Warrikal provide a full range of value added offsite solutions to meet all your fabrication and construction activities. Our facilities can fabricate and surface treat all structural steelwork, piping, pressure vessels, tanks and all general industrial fabrication. We are passionate about excellence and doing our work safely all the time. Our reputation depends on the safety of our people. Giving due respect to self and others and maintain the environment of team work and growth. We actively build a diverse, inclusive and collaborative work environment where all views are welcomed and encouraged. To make commitments responsibly and always act with honesty and integrity. Know that you will be working with a professional company with professional team members.